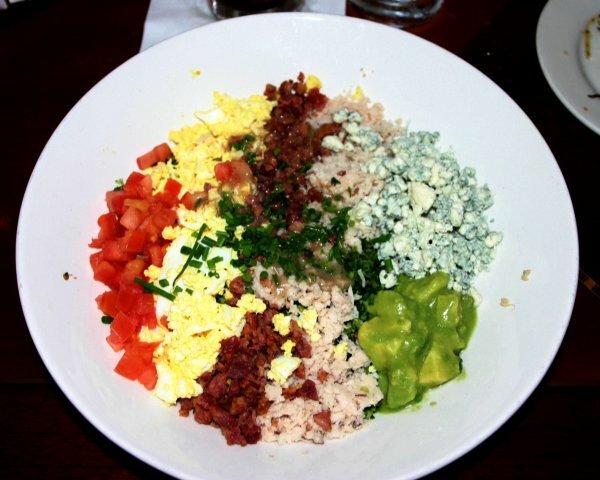 There is history around the Cobb Salad it looks as if it start was created around 1929 and was named in honor of Robert Cobb the owner of the Brown Derby Restaurant. Seeing that records weren’t kept very well back then it is hard to pin the real beginning of the Cobb Salad. I am not a fan of tearing lettuce, so I cut it. But I do use a ceramic knife when I gut lettuce and other vegetables, they don’t seem to oxidize as much. The nice thing about salads is you can add or remove items from them. Ham is used in a lot of versions too. Let your creative mind expand of the basics of the Cobb Salad. and if you have your egg cooker it is a snap to have easy to peel eggs. Washing the lettuces is one thing but drying it is a totally different story, a good lettuce spinner is will worth the money that you spend on it. Getting the excessive water off the leafs will help keep them crisp for days to come. Error: (CURL) RequestThrottled — AWS Access Key ID: AKIAJBMC2SFTPZDX66DA. You are submitting requests too quickly. Please retry your requests at a slower rate.